Manage projects and project portfolios for any industry in an efficient manner with a flexible solutions. 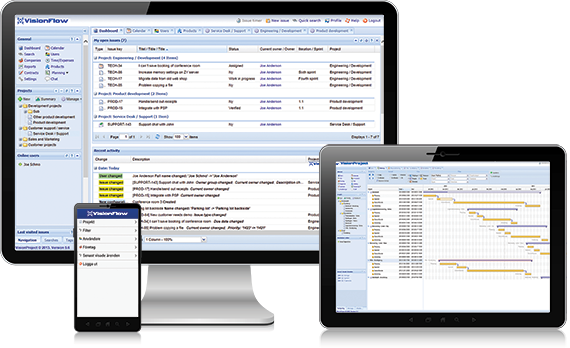 Comments: VisionProject is a very useful tool for Project Management, Helpdesk, Time Reporting and Document Management. Since it is a web based tool there is no need for maintenance or updates, which saves a lot of time. The tool is very easy to configure and to work with. Since we started to use VisionProject I don't loose track of things anymore and it makes things much more efficient.